QUICK TIP for “crispening” up your recipes! The broiler function on your oven is your friend! Anytime you want to “crispen” something up, finish your recipe on broil for about 5-10 minutes. 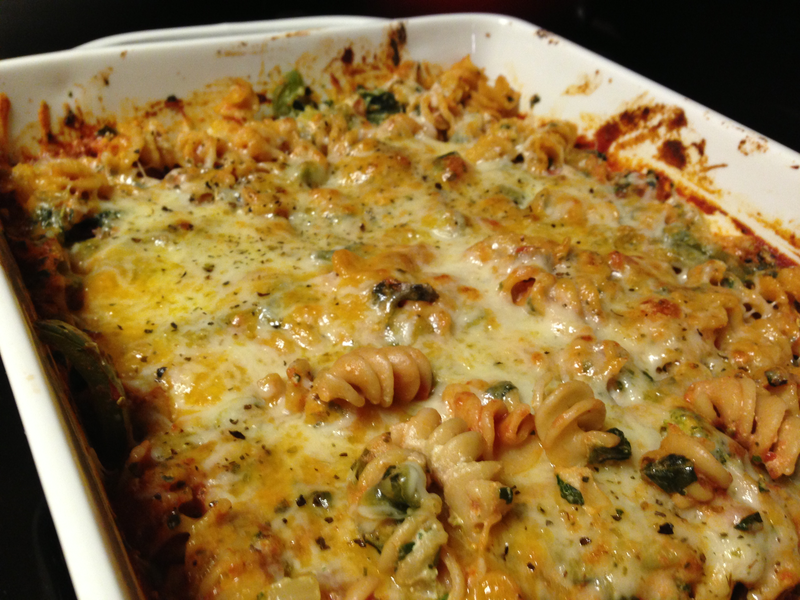 I do it with lots of recipes, from baked bbq chicken to recipes that call for a cheese topping. Tonight, I put my oven on broil five minutes before I had to take out a baked ziti. This perfectly browned cheese on top was just as delicious as it looks! QUICK TIP for salad making! Ever run out of croutons? Try this quick recipe that’s delicious every time! Cut the slices of bread into 1/2 inch squares. Toss with olive oil and seasoning, and lay out onto a cookie sheet. Bake for approximately 10 minutes at 400 degrees. You can take this recipe one step further. After the toasted croutons have cooled, throw them into the food processor…voila, bread crumbs! QUICK TIP for cooking with whole wheat flour! Tip of the day. All of you healthy eaters out there that like whole grain versus “white bread” products…listen up! Where a recipe calls for all purpose flour, it can’t be 100% substituted with whole wheat flour. All purpose flour has alower protein content, which affects the density of whatever you’re making. If you substitute entirely with whole wheat, your end product will be very, very dense. If you are looking to make a whole wheat/grain product, just google a recipe rather than substituting in a recipe made for all purpose flour. Think you can pass this culinary bar? Try out Lawyer in the Kitchen’s healthy, quick recipes.